ROCKPORT — Noted author, photographer and dynamic speaker, Doug Tallamy, will present a talk on “Native Gardening and Biodiversity Matter” at 7 p.m. Thursday, July 5, at Rockport Opera House, 6 Central St. Tallamy’s book, “Bringing Nature Home” is an invaluable resource for professionals and home gardeners who are looking for ways to improve backyard habitat for wildlife — from insects to songbirds and beyond. This message is increasingly important as habitat is degraded by invasive plants or lost to development, and wildlife — including pollinators — declines as a result. Tallamy will be on hand to sign books at 3 p.m. at Plants Unlimited in Rockport, as well as at the Rockport Opera House following the lecture. This event is presented by Knox-Lincoln Soil & Water Conservation District, Wild Seed Project, Merryspring Nature Center, Waldo County SWCD and Rockport, Warren and Boothbay Region Garden Clubs, and generously underwritten by Hammon Buck of Plants Unlimited. Left Bank Books in Belfast, Owl & Turtle in Camden, Plants Unlimited in Rockport, hellohello books in Rockland, Sherman’s Maine Coast Books in Damariscotta; and at the door. 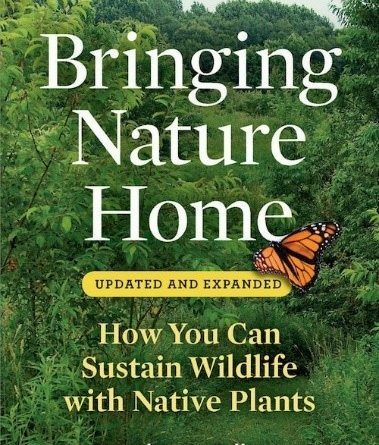 Come learn how to bring nature into the home landscape and support local biodiversity with this deeply informative, fun and clear call to action. FMI contact Knox-Lincoln SWCD at 596-2040 or info@knox-lincoln.org.